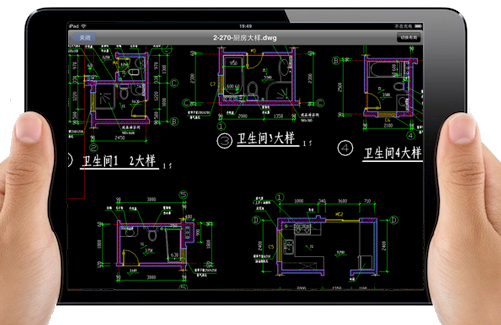 CADSee for iOSis a CAD viewing software that can run on iPad and iPhone. 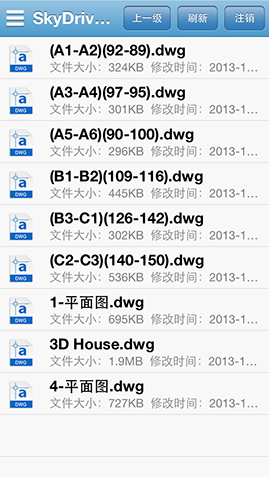 It provides commonly used functions for viewing drawings, and also provides a perfect solution to Chinese font display problem. CADSee Plus provides a local drawing file list, and has the functions such as New Folder, Delete File and Delete Folder, which achieves local directory and file management. It supports iPhone 4/4S/5/5S and iPad 2/3/4/Air. 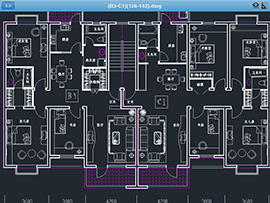 CADSee Plus implements operations of drawing files such as Zoom, Pan and Full Screen, achieves switching between layout space and model space, and provides display mode control of 3D drawings.